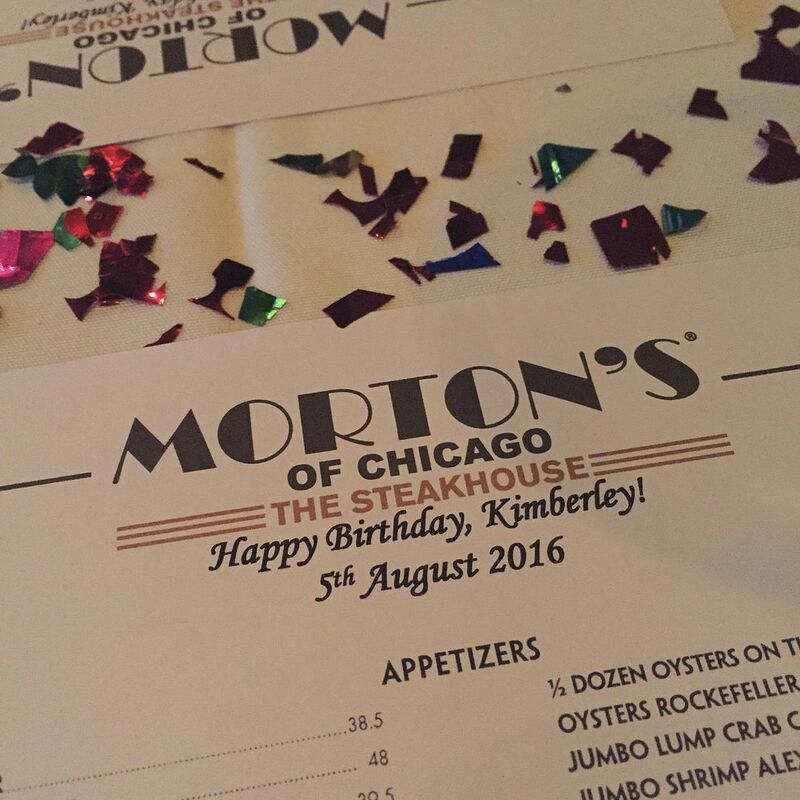 When I called Morton's to make a reservation, the chirpy staff who took my call asked if I was celebrating a special occasion and so I told her that it was my birthday. 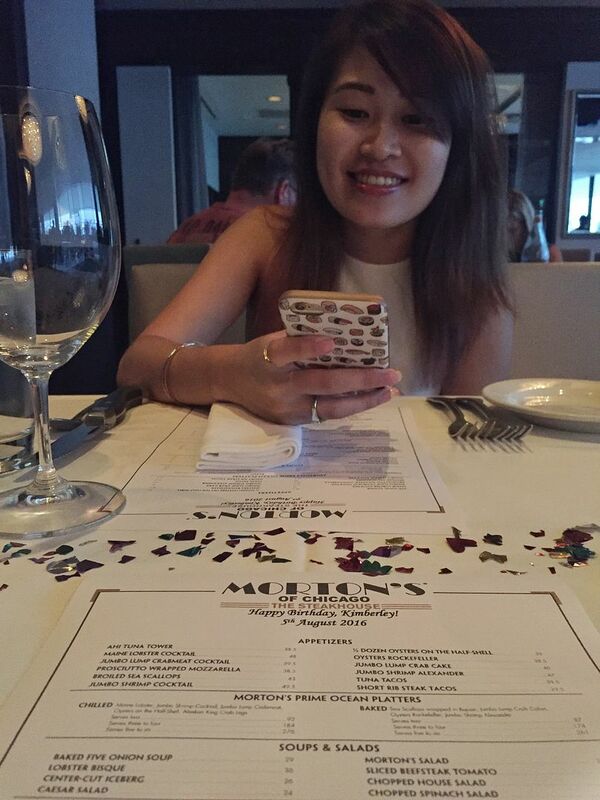 When we got to Morton's, we were ushered to our table swiftly. My eyes lit up as I saw colourful confetti sprinkled all over the table and there were two sets of customized menus lying there too. 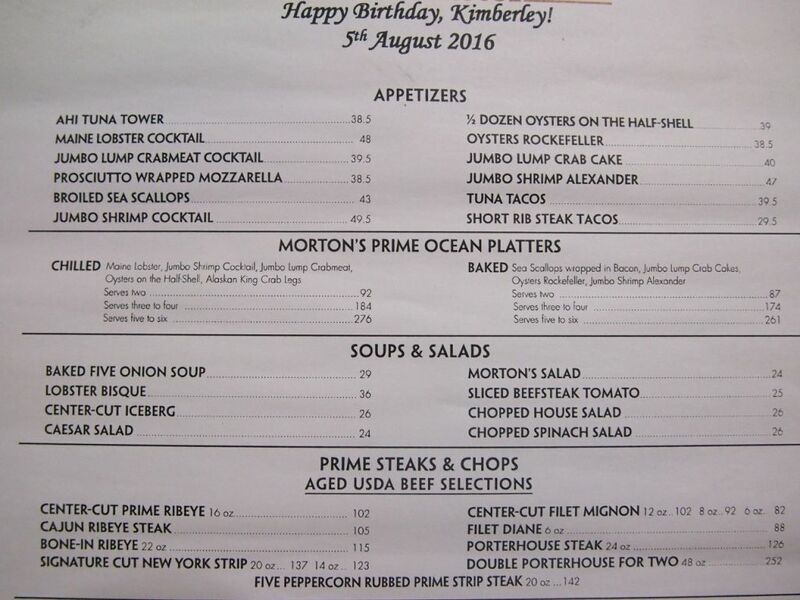 On the customized menu, there's a line that reads "Happy Birthday, Kimberley!" A warm and fragrant onion bread was served to our table while we deliberated on our choices. I had about a quarter of the bread and really wanted more but I was afraid that I couldn't finish my steak. We ordered a Truffle Fries($25) to start. 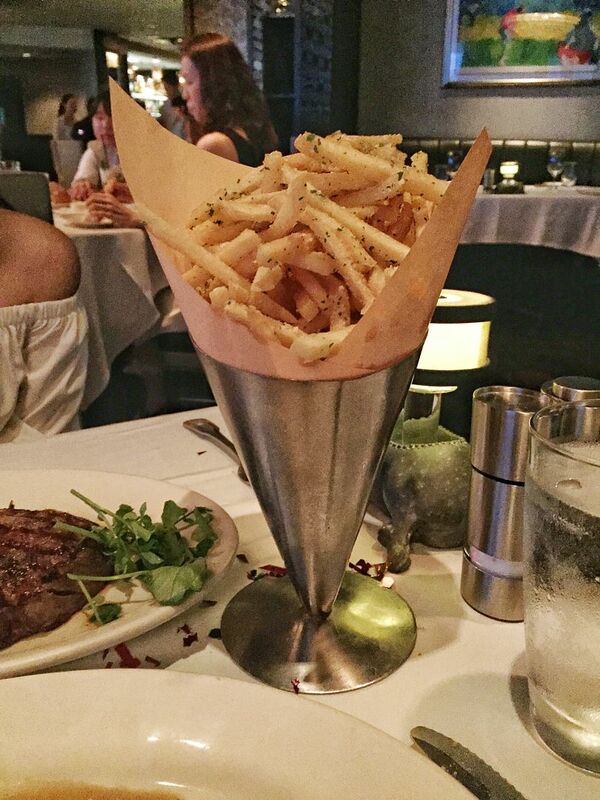 The mountain of fries was doused generously in truffle oil and topped with parmesan. What a great way to kick off dinner! Our steaks came shortly after, and the same friendly server attended to us throughout the night. She wore a warm smile every step of the way and made sure we were very well-taken care of the entire time. We ordered a 16oz Centre-Cut Prime Ribeye($102) each. 16oz is a whopping 450g and this makes the steaks incredibly value-for-money. Our steaks were a flawless medium-rare and had a really nice char. Each bite was simply divine and tasted like heaven. I took my time with every bite, relishing in the perfectly-executed slab of beef and savouring the natural taste and goodness of it. We did not get any sauce to go along and there wasn't a need to because the steak was perfect. Needless to say, I was too stuffed before I even finished 2/3 of my steak but I managed to finish it in the two hours that we were there. 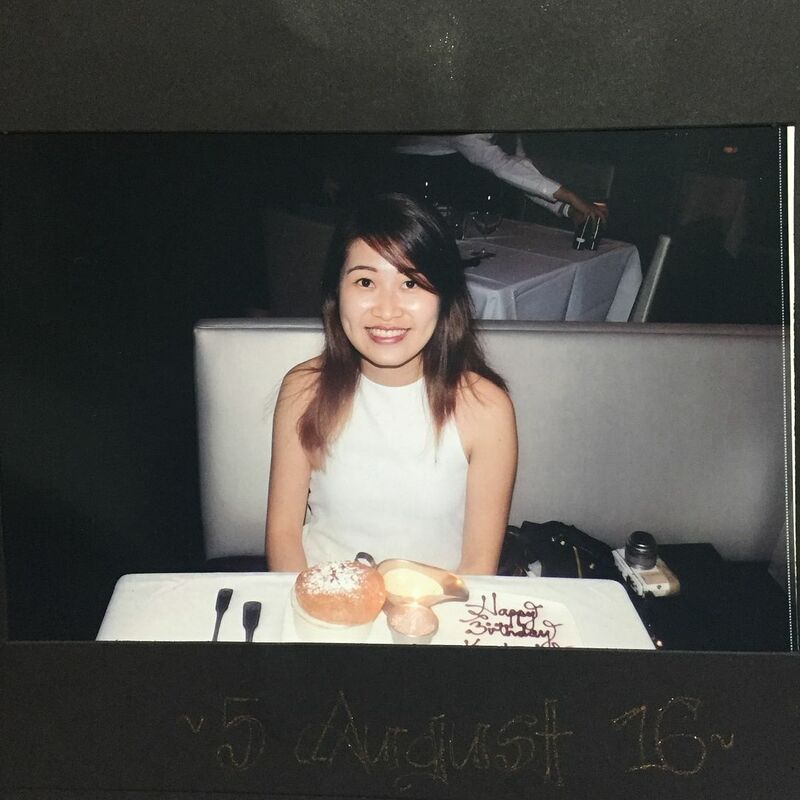 My steak was phenomenal and I dare say that it is the best steak in Singapore. Just thinking about it makes me drool. After we were done with our steaks, we knew that dessert was on its way. I was asked if I'll like to have a chocolate, raspberry, lemon or vanilla souffle before dinner started and I picked chocolate. Isn't my chocolate souffle gorgeous? 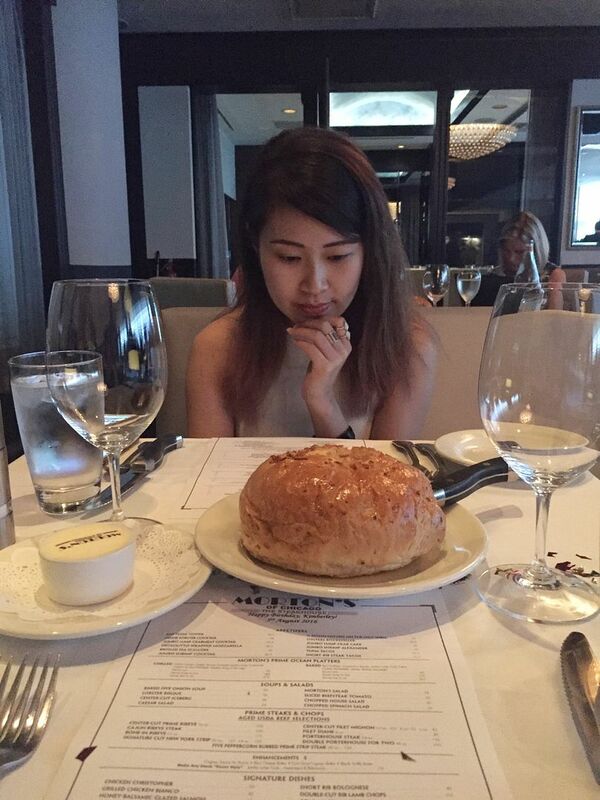 A server came around with a camera and took a picture of me with my souffle. After we were done with dinner and proceeded to get the bill, I was presented with a birthday card with my picture in it and the words "Happy Birthday Kimberley!" hand-drawn on it. They also handed me the personalized menus rolled-up like a degree. The service here is seriously beyond impressive and unparalleled! 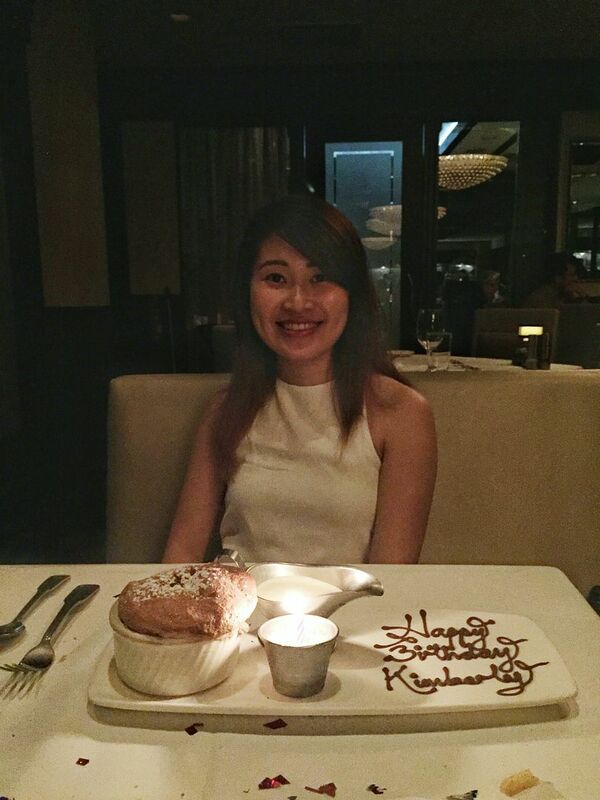 The food was impeccable too and I truly had an exceptionally memorable birthday dinner at Morton's! 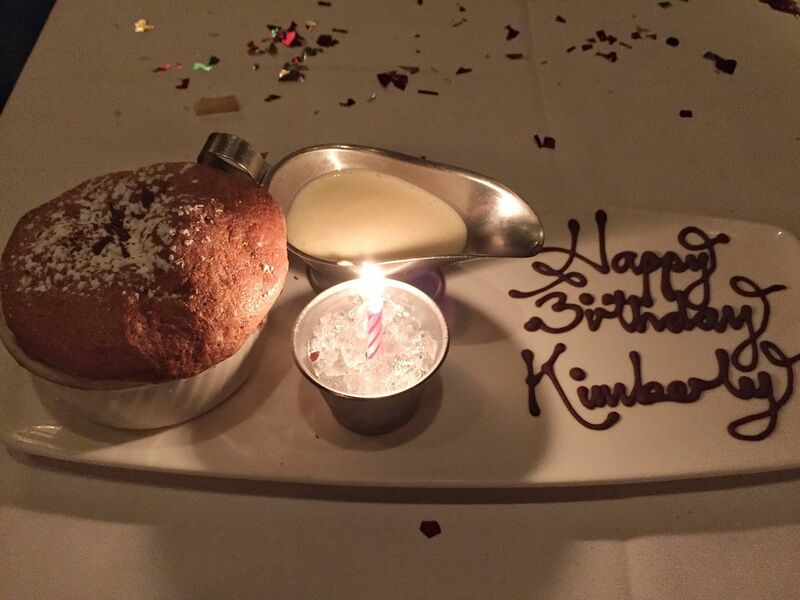 I called Bedrock to make a reservation for my birthday and when they didn't ask me if I was celebrating a special occasion, I told them that I was celebrating my birthday. So they told me that they would give me a nicer seat. The alfresco area of Bedrock is always empty when I pass by and I never knew that they had quite a spacious and large dining area indoors. Upon arrival, we were brought deeper into the restaurant where it was actually almost full-house. 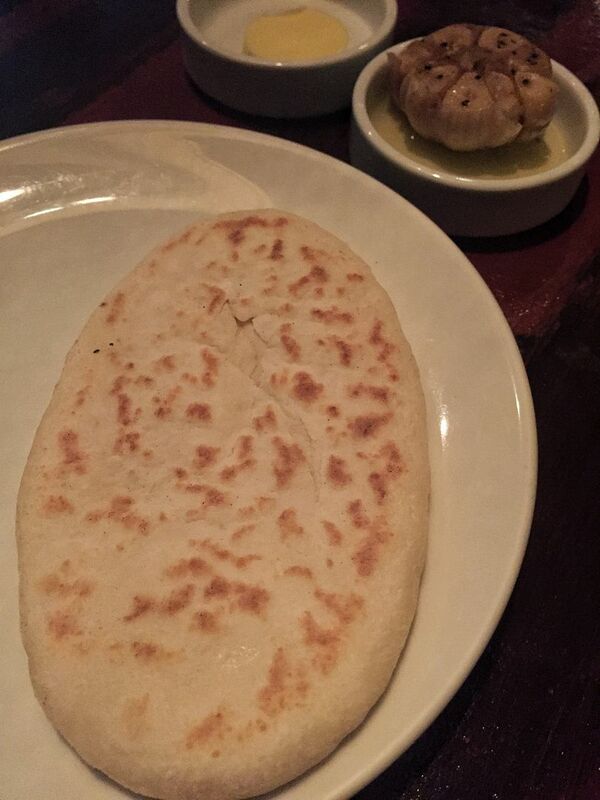 After we placed our orders with the server who wore a disinterested expression, with no trace of a smile, we were served a piece of warm pita bread each. The bread was fantastic and addictive and I finished it all. If only they asked if we wanted more! Soon after, our 14oz USDA Prime Grain-fed Ribeye ($96) arrived and I was disappointed that it was rarer than the supposed medium-rare that we had placed an order for. We got the red wine sauce($4) to go along with our steaks. 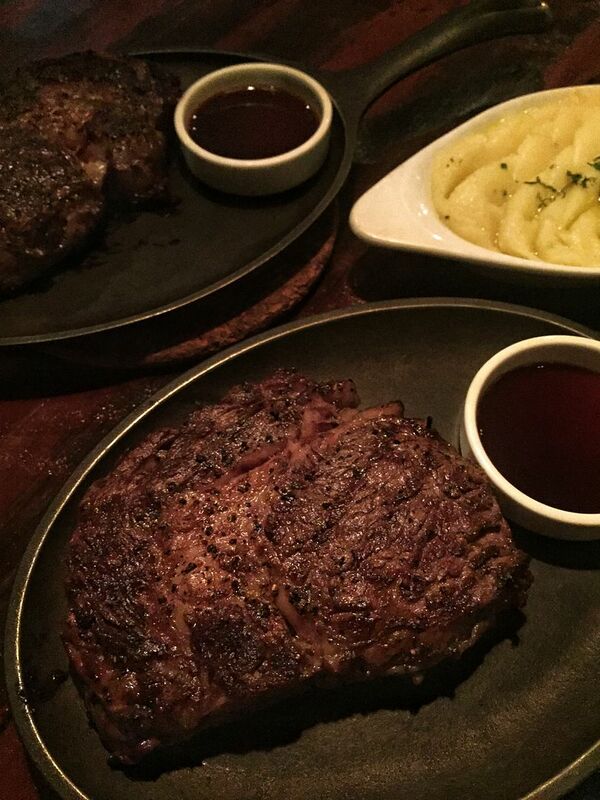 While the steaks weren't up to expectations, we really enjoyed the Truffle Mash Potatoes ($16). Also, it was quite difficult to get the attention of the staff or even a refill of iced water. 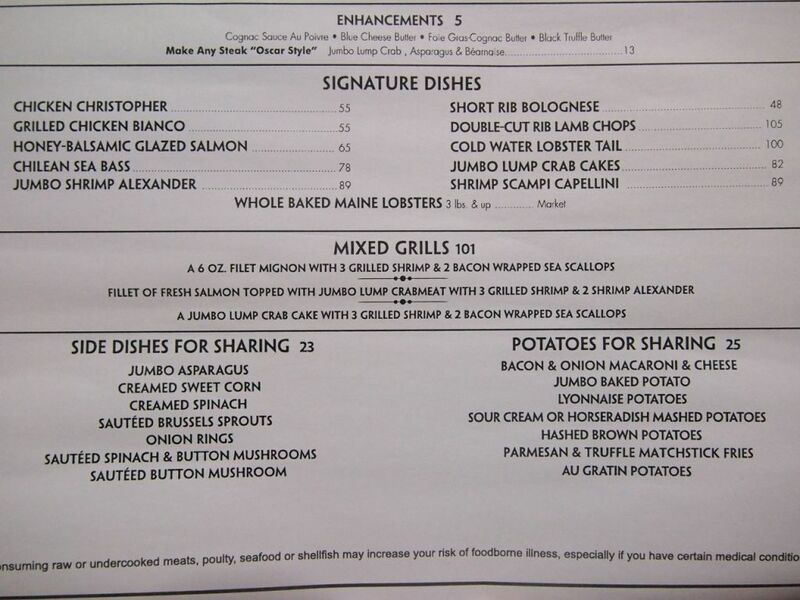 While the price point was comparable to that of Morton's, the service and execution of the steaks definitely weren't. In addition, unlike Morton's, Bedrock did not have a special program for birthday babies. 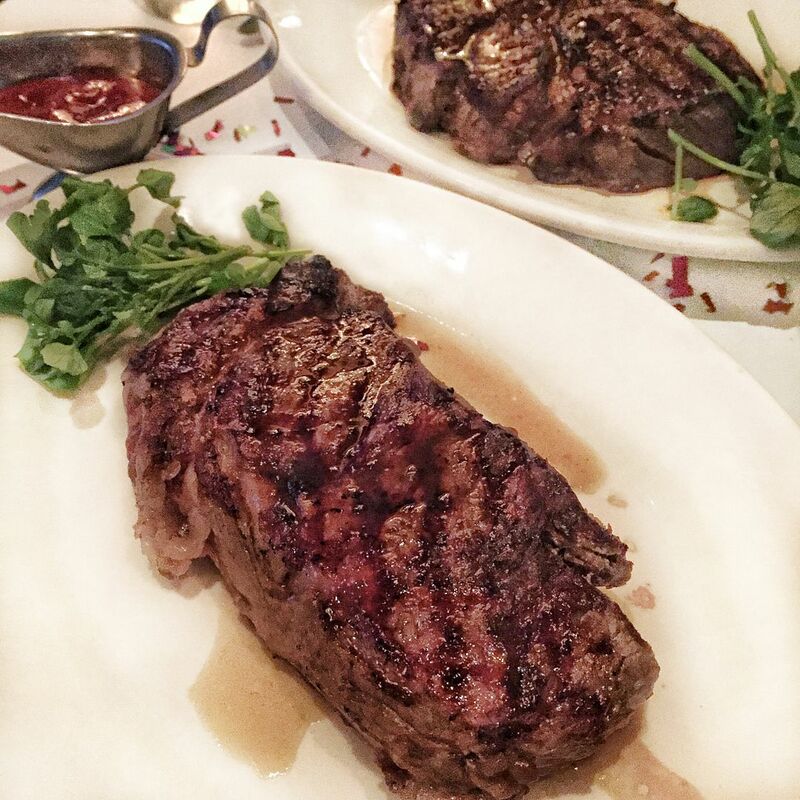 The one saving grace is that Bedrock is on the Entertainer app so you can get two steaks for the price of one. I haven't had the chance to try CUT by Wolfgang Puck, Ruth's Chris or SKIRT but Morton's definitely ranks number one for me right now!